The advanced book discovery feature within AR introduces children to books they might be interested in - and even identifies the ones available in the school library. No wonder that recent research from the National Literacy Trust found that children who use AR read more widely than their peers. Books that are too easy for children don't give them the challenge they need to make progress. Books that are too complex frustrate them. 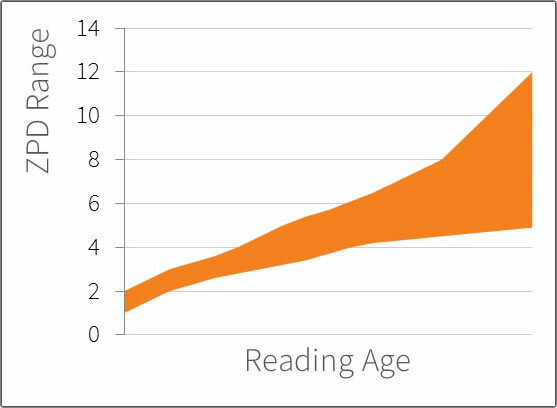 Accelerated Reader uses the computer-adaptive STAR Reading test to determine a student's reading age. Teachers get a wealth of feedback, and students are guided towards appropriate books. 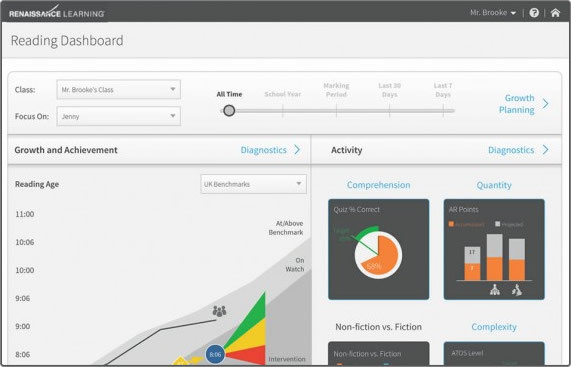 AR uses either the ATOS or Lexile® measures of text complexity to help children to select books of an appropriate level. This is their 'Zone of Proximal Development' (ZPD). As children make progress with their reading skills, their ZPD broadens to encompass a wider range of literature. 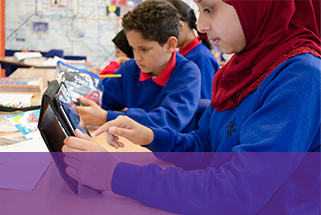 A literacy programme with AR at its heart can be tailored to suit children of all ages and abilities, even within mixed groups. Most children can read books and take Accelerated Reader quizzes independently. The programme also supports 'reading to' and 'reading with' children. Over 600 of the most popular quizzes on books for emerging readers have a Recorded Voice feature, allowing children to listen to the quiz being read to them. There are 3, 5, 10 or 20 questions in a Reading Practice quiz depending on the length and complexity of the book. Approximately 200 new quizzes are added to the programme every month. Every time a child reads a book and takes a quiz with Accelerated Reader, they get immediate feedback on their results. The Opportunity to Praise Students Report is automatically produced after every quiz, showing the results of the quiz just taken. 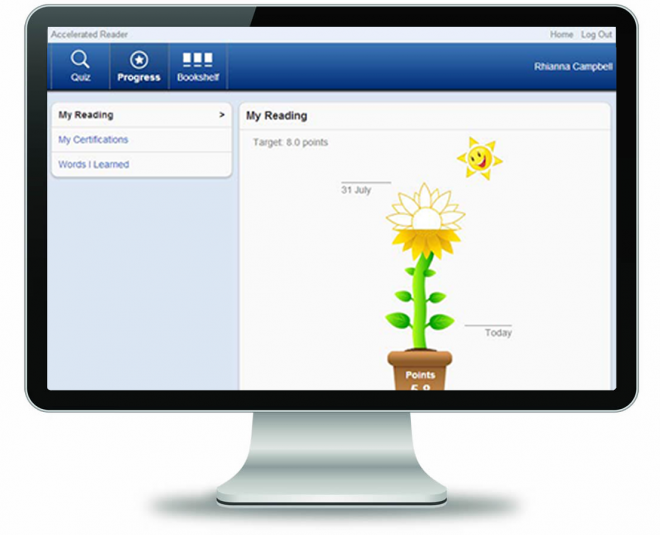 Students working towards individualised goals will have their progress towards those goals displayed on their TOPS Reports. The Accelerated Reader primary experience shows children the progress they are making with a simple and attractive sunflower design. 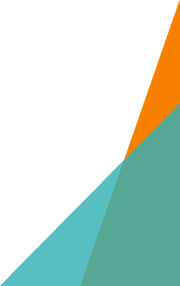 The EEF/Sutton Trust Teaching and Learning Toolkit has found regular personalised feedback to be among the most effective means of improving children's educational standards. 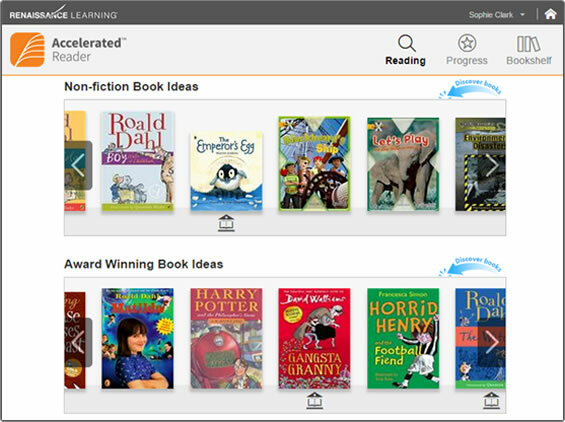 Accelerated Reader gives teachers the information they need to monitor children's reading practice and make informed decisions to guide their future learning. A comprehensive set of reports show children's progress towards targets, growth over time, and their level of engagement with the programme. Reading logs and TOPS reports help teachers to keep parents informed of their children's progress with reading. 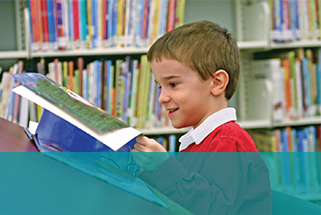 The Renaissance Home Connect* website works alongside Accelerated Reader to allow parents to see their children's progress toward reading targets. Conduct book searches using AR BookFinder, review AR Quiz results, view the number of books and words read and strengthen vocabulary skills. *Does not allow quizzing in Accelerated Reader from home. 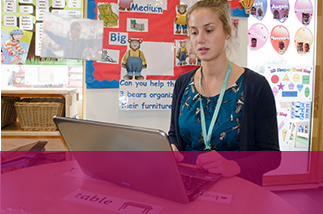 AR is available by subscription and quotations are tailored to each school's specific needs and requirements. A member of our team will contact you to discuss your needs further and provide a quotation for the programme.